Fans of this site know that our dedication to supporting young singers runs deep. We encourage readers to donate to young artist programs and our annual charity calendar benefits young artists. One of the best programs in the country is the Ryan Opera Center at the Lyric Opera of Chicago and now you can hear their amazing singers even if you're not anywhere near the Windy City. The Ryan Opera Center is performing a Rising Stars Concert that will be broadcast in the Chicago area on 98.7 WFMT and streamed online at www.wfmt.com on Sunday, April 1st 4 p.m. CST. If you're in the Chicago area, the concert is on Saturday, March 31, at 7:30 p.m CST at the Ardis Krainik Theatre of the Civic Opera House, but tickets are only available to Lyric Opera donors of $75 and above. You can (and should) donate at the Lyric Opera website. One of this site's most popular young artists, Paul La Rosa, will be featured in the concert along with fellow baritones and basses Joseph Lim, Paul Scholten, David Govertsen and Evan Boyer. Other singers include sopranos Emily Birsan, Kiri Deonarine, and Jennifer Jakob (sopranos); mezzos Emily Fons and Cecelia Hall; and tenors René Barbera, Bernard Holcomb, and James Kryshak. The singers will be performing works by Adams, Bellini, Berlioz, Bernstein, Bizet, Delibes, Donizetti, Gounod, Mozart, Puccini, Rachmaninov, Rossini, Richard Strauss, Tchaikovsky, and Verdi. 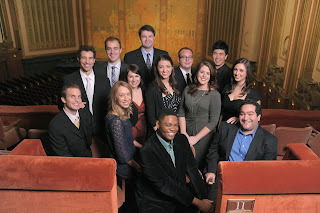 Participants in the program have performed principal and supporting roles during Lyric Opera of Chicago’s 57th season. 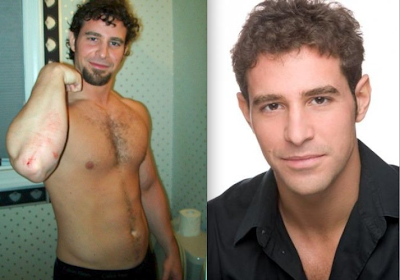 They also served as understudies for major and minor roles throughout the season. Another member of the program is Will Liverman who we recently predicted would win the Metropolitan Opera National Council Auditions. Unfortunately, the judges disagreed, but he is destined for a major career. Hey, Chi-Town in the house!